Costa Rica is one of the top destinations for tourists and travelers seeking close contact with nature, pristine beaches, National Parks and tropical rain and cloud forests. It one of the best countries to visit for biological diversity, primary forests, coral reefs, endangered species and enchanting white sand beaches, with outstanding surfing and scuba diving. 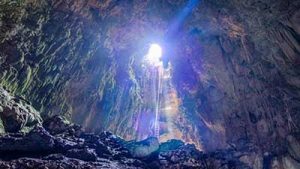 Yet there is even more to Costa Rica; and here is a list of Must See Tourist Destinations in Costa Rica. 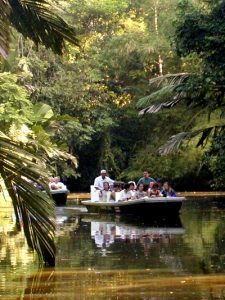 Puerto viejo de Sarapiqui, offers one of the most interesting riverboat trips in Costa Rica. There is no guide, however you will find that the locals are more than happy to show you around or to take you out on their own boats. The trip takes several hours during which time you will see many beautiful birds, monkeys, sloths and even the occasional crocodile. There is a beautiful lodge in a small village called La Trinidad that is absolutely enchanting should you wish to stay in this fascinating area. Puerto Viejo de Sarapiqui can be reached via two different ways. You can either go through Sta Clara, in Heredia from where you follow the direction to Tigre, or you take the road to Barva, pass the Poas Volcano from where you just follow the signs to Puerto Viejo. Either way is just as picturesque and the roads are in perfect condition. On the Eastern side of San Jose, as you are on your way to the Irazu Volcano, make sure to make a detour to the Lankester Gardens. Located 3.7 miles east of Cartago on the road to Paraiso, these gardens are most definitely worth a visit. The collection of Orchids that you will see there is the most outstanding in the country. Naturalist and botanist Charles Lankester West originally established the gardens in 1917. In 1973 the gardens were donated to the University of Costa Rica for continued research and to make them accessible to the public. 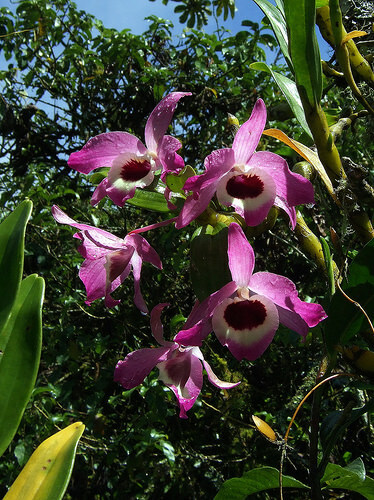 These gardens hold over three thousands indigenous and rare specious of orchids spread over 26 acres. Many of these species grow in the canopy and bloom once or twice a year, these gardens therefore give visitors the chance to see beautiful flowers that are otherwise almost impossible to observe. The gardens also have a collection of cacti, succulents and bromeliads and an enchanting butterfly garden. Today the Lankester Botanical Garden can be counted among the most important botanical gardens of the Inotropic. 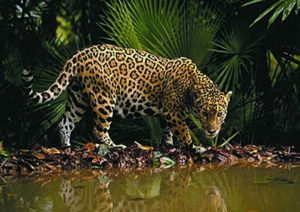 The Barra Honda National Park is a true wonder of wildlife with its unique flora and fauna in Costa Rica; their main attraction are the stalactites, stalagmites and other calcareous that form the 40 limestone caverns that are only accessible with professional climbing gear and guides. It is also probably the only place in this country where you can find accommodation actually within a National Park, it also has camping grounds. on your way to the caverns you will see some of the most exceptional tropical dry forest of the planet along the trails. This is probably the only place or Earth where you can see capuchin monkeys and cactus together. You can also watch howler monkeys, kinkajous, raccoons, peccaries, agoutis, deer and huge anteaters. La Selva is a n area of 1600 hectares of tropical rain forest located in the Caribbean lowland in the northern region of Costa Rica. Indeed 75% of this area consists of primary tropical rain forest. Dr. Leslie Holdridge established La Selva in 1954; it was just a farm at first where she could conduct experiments with mixed plantations for the study of natural resources management. 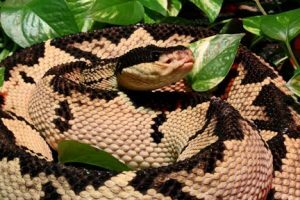 In 1968, the Organization for Tropical Studies bought it and declared it a Biological Reserve. I t is today one of the most important sites for research on tropical rain forests. La Selva Biological Station is actually an extension of the Braulio Carillo National Park and is like a corridor that descends from almost 3000 meters on the Barva Volcano to just 35 meters at La Selva, the whole area includes four tropical life zones and habitats, with over seven hundreds species of trees and five thousand species of plants. 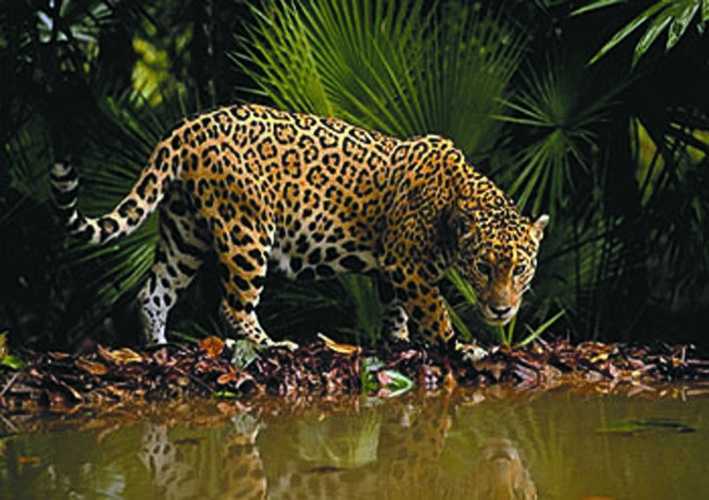 It is home to large predators like the Jaguar, the bushmaster and the puma, various types of monkeys and other mammals, and four hundred species of migratory and resident birds that represents almost half of the birds present in Costa Rica. 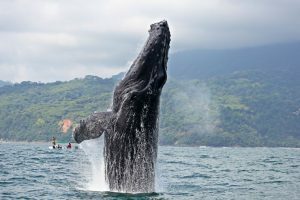 The Marino Ballenas National Park, located on the southern Pacific coast in Puntarenas Province, was created to protect the whales that come to mate off the shores of Costa Rica between the months of December and April. It is also a stunning place to visit, just for itself and is wonderful for swimming, snorkeling, scuba diving, and surfing and for simply enjoying the true beauty of nature. Its peaceful and serene atmosphere is maintained simply because it is seldom visited and is perfect for those seeking direct contact with nature. Green marine iguanas that like to bask in the sun live on the white sand beaches. There you will also find a mangrove habitat and the largest and most impressive coral reef on the Pacific side of Central America. Olive Ridley turtles make their nests on the shore. 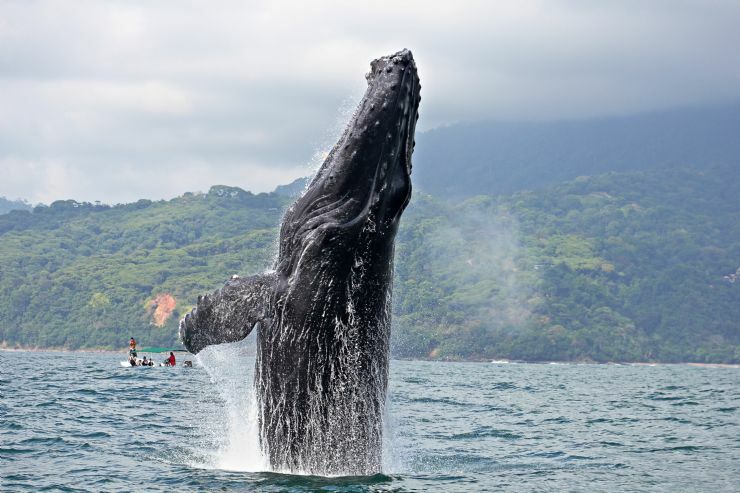 The park provides a truly memorable visit and is not to be missed, unique in Costa Rica. Palo Verde is considered to be the most important sanctuary for migrating birds and resident waterfowl in Central America. Located in Nicoya, it is a great place to stop while on your way to the wonderful beaches of Malpais and Sta Teresa on the Pan American highway. It can still be considered to be a hidden jewel, as it thankfully receives very few visitors; if this was not the case, the natural balance would be skewed and the birds would stop coming. Palo Verde has some camping areas where the ground is well drained, as well as a few basic outhouses and outdoor showers. This is the ideal destination for those with a taste for adventure and who don’t mind roughing it a bit. With its 15 different habitats, Palo Verde offers the green foliage of wetlands set against tropical dry forests, a contrast that again reminds us of the biodiversity of Costa Rica. 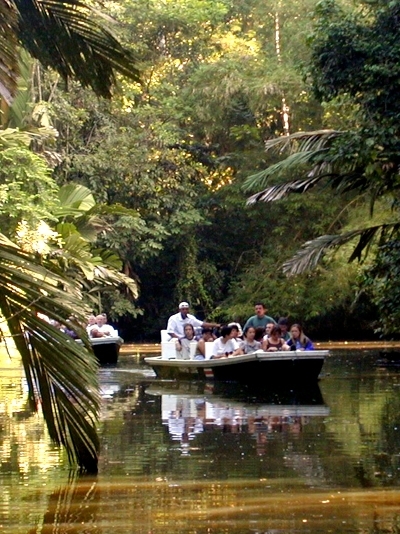 Magnificent boat tours are the perfect way to discover this lost land and its vibrant wildlife. During most of the year the marshes can easily be seen from the station from where one can spot storks, egrets, ibis, ducks, geese, herons, jacanas and many other migrating birds.